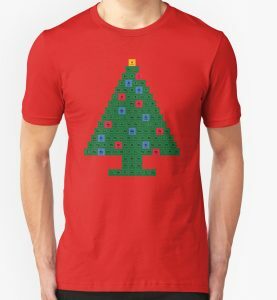 Chemistry up your Christmas celebration with this periodic table Christmas tree. 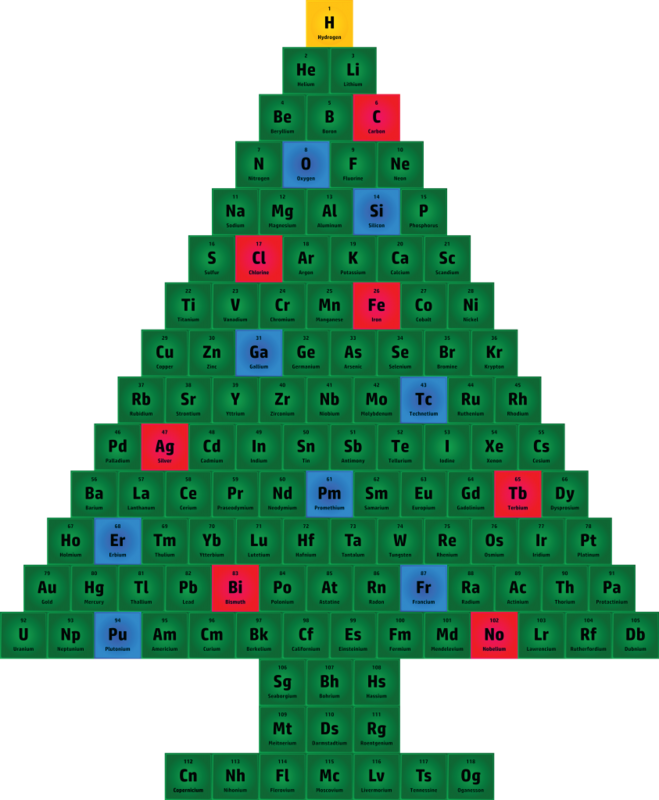 This Christmas tree contains all 118 elements of the periodic table including the proposed names of elements 113, 115, 117, and 118. Each tile contains the element’s number, symbol, and name. We’ve teamed up with Redbubble to offer this graphic as a print, poster or sticker. 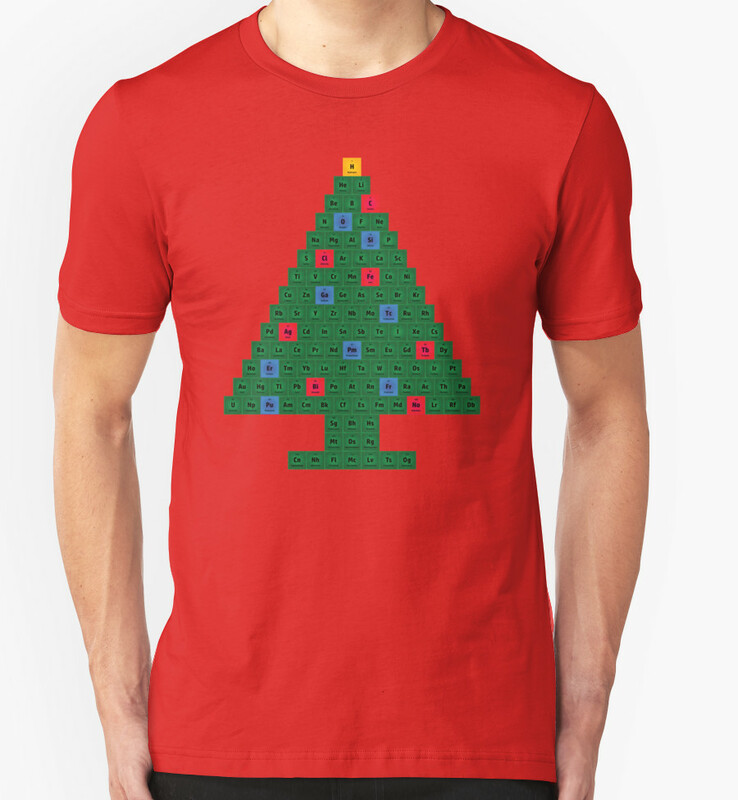 If you’d prefer, there are t-shirts and hoodies to wear and coffee cups to drink from. Check out these items along with a variety of other items on our Redbubble product page. Click the Available products button to see other items with this graphic.